Nasa Jet Propulsion’s Youtube chanel just release new footage taken from the Curiosity Rover on Mar’s. The footage shows detailed 360 view of the landscape in explicit detail. Curiosity Project Scientist Ashwin Vasavada gives a descriptive tour of the Mars rover’s view in Gale Crater. The white-balanced scene looks back over the journey so far. The view from “Vera Rubin Ridge” looks back over buttes, dunes and other features along the route. 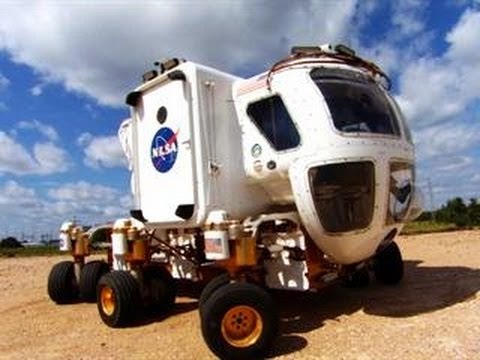 NASA test drives their new Mars Rover that will be used for maned missions to Mars in the not to distant future. NASA’s new space exploration vehicle features a pressurized cocoon, omni-drive, and a suit port that allows astronauts to easily get in and out of the rover. Watch as they take it for a test drive, showing off some of the new awesome features. The video was uploaded to the Smithsonian channel yesterday. SpaceX founder and CEO Elon Musk stated that his team will be able to land humans on Mars between the years 2026 and 2028. This will be almost ten years earlier than NASA said that they will do it. 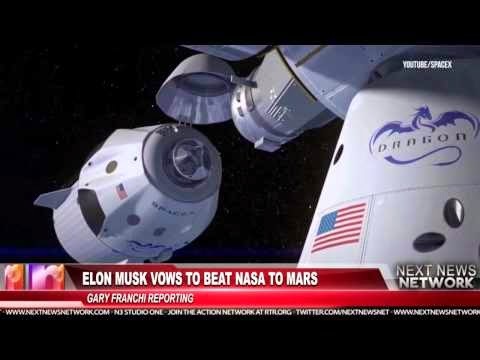 However, SpaceX still has challenges that it will have to over come before sending people to the Red Planet. 1. they will have design and manufacture a Booster, capable of handling a human mission to Mars. They do have some competition though. Mars 1, a dutch company intends on using a heavy rocket to launch people to the Red Planet also. How much do you know about the moons of Mars? This video explains everything you need to know about Phobos and Deimos, the two moons of Mars.